Neogen Chemicals IPO Analysis: Should you invest? Polycab IPO Analysis: Should you subscribe? Business description from prospectus - Kaarya Facilities and Services is a leading integrated Facilities and Property Management company. It offers its services to corporate, SMEs, Government institutions and Residential Segments. Its strength lies in Housekeeping, Integrated Facilities Management and Premium Housing socities management. The company has built in-house training and development programs. Its training covers On-Site rules and regulations, Processes; Soft skills, Hard Skills across housekeeping, maintenance, customer services, back office and EHS Training – Environment, Health, Safety – Fire etc. As on June 30, 2017, it had 297 personnel deployed. The company operates on an asset-light model with low capital expenditure requirements and high working capital requirements. Currently, majority of its revenues is from deployment of personnel for soft services comprising of housekeeping services, help desk management, office administration executives, and pantry & steward services. It is increasingly being perceived as office & building management partners by its clients, thus gradually also developing into suppliers of all aspects of building maintenance and operations services including technical services & other hard services such as tank cleaning, pest control, contracts management & more. 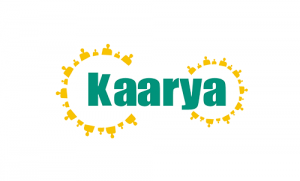 Kaarya Facilities and Services IPO allotment status is now available on Karvy Computershare’s website. Click on this link to get allotment status. Indian capital market has seen a quantum jump in terms of turnover, market participants as well as regulations over the last couple of decades. However, little has gone towards bolstering participation of retail investors in the market. Through its unbiased approach of dissecting the prevalent challenges and finding ways for small investors to make money in the market, IPO Central aims to help individual investors in starting their stock market journey in a surefooted way. Copyright © 2019 IPO Central. All rights reserved.